If your future goals include a PhD, you can apply for an optional Certificate of Research within your MQM degree that provides an opportunity to develop your research skills to prepare you for the rigor of a doctoral program. Candidates for the certificate are selected based on their likelihood for success in an advanced research career path. You can apply for this certificate in Term 4 of your program. The certificate is personalized to meet the specific research/career development needs of each student selected into the program. 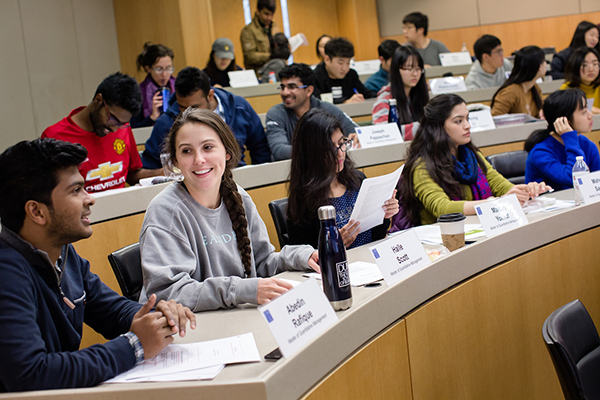 If selected for the certificate, the MQM: Business Analytics program is extended over the summer and by 2 terms into the next fall, during which your capstone project will be part of a customized research agenda supervised by a Fuqua faculty member. If selected for the certificate, your MQM: Business Analytics program will be extended over the summer and by two terms into the next fall. Additional tuition requirements apply.